Our nation's capacity to care is becoming increasingly stressed as an aging and increasingly unhealthy population collides with a relative reduction in the numbers of clinicians and ever-tightening financial resources. If even the mildest of future-state predictions are to be believed, we need a significant restructuring of our entire healthcare system and its total Capacity to Care, such that we can simultaneously improve care capacity, cost, quality, accessibility, and resource gratification. 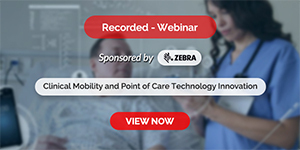 Optimizing Your Capacity to Care: A Systems Approach to Hospital and Population Health Management provides comprehensive guidance to a new way of optimizing and managing community-wide Care Capacity via a unique and holistic approach to healthcare operations. 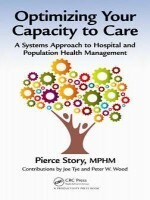 Through clear examples and actual project results, the book demonstrates the outcomes of a systems-level way of thinking about a community's Capacity to Care that incorporates and integrates the full spectrum of available clinical and communal resources into the care of patients, including hospitals, physicians, emergency departments, surgical services, local churches, civic organizations, pharmacies, and volunteers. The book details operational models for each major department of the hospital and a fully integrated communal resource pool to demonstrate how the optimization of capacity, resource utilization, cost, and clinical outcomes can be attained. And by providing healthcare leaders with a deeper understanding of key elements missing from the most common process improvement methodologies and approaches, this book offers fresh perspectives and bold alternatives for hospitals, health systems, and entire communities.